This little face is the smaller size of the Bleuette Premier Jumeau. 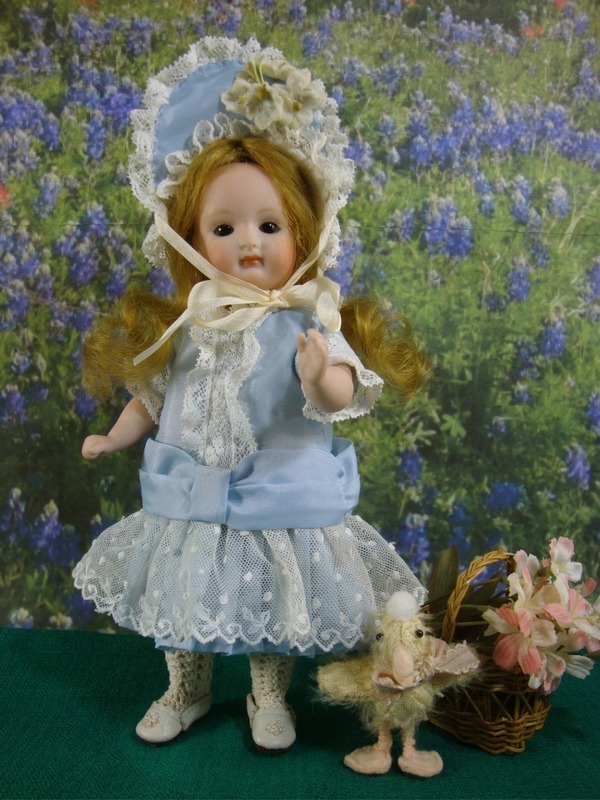 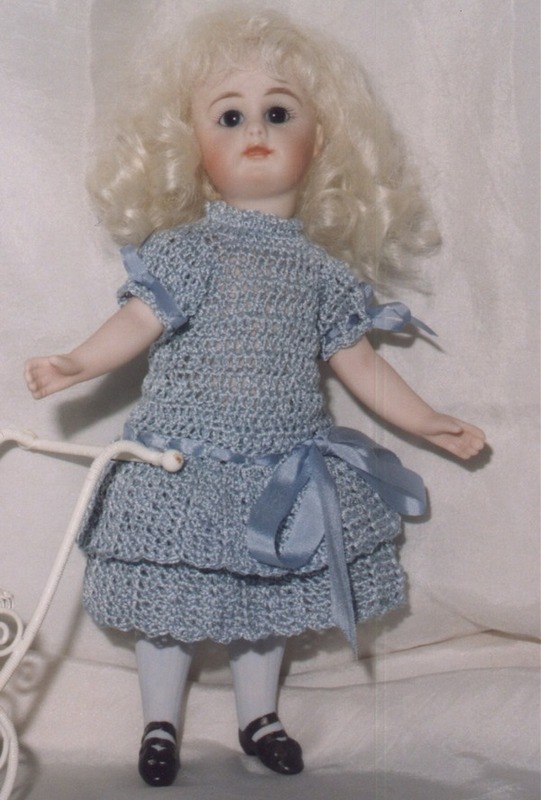 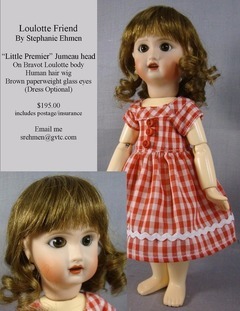 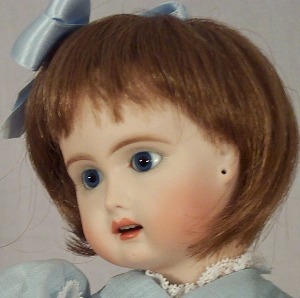 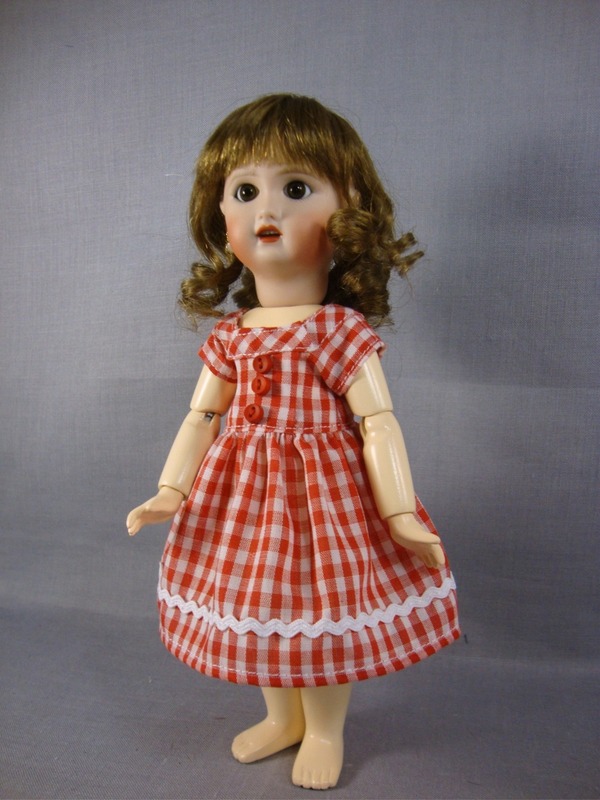 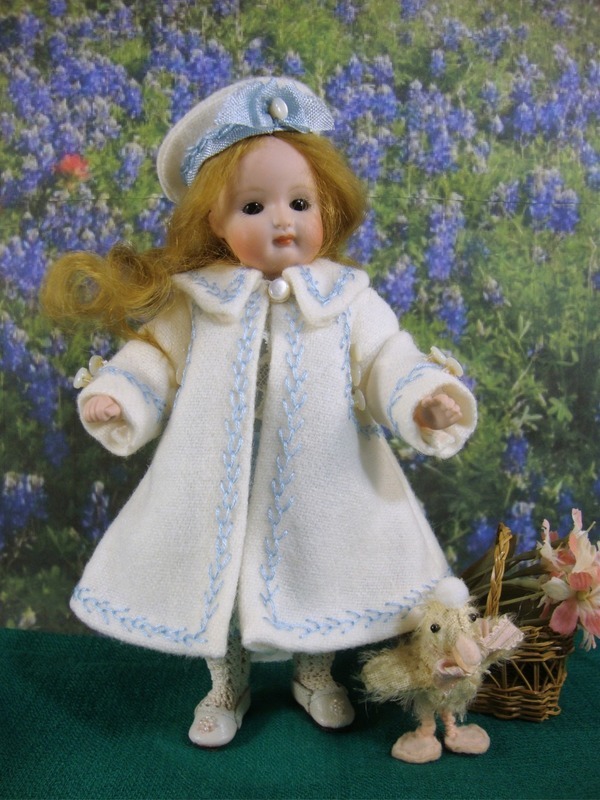 She comes with a pretty human hair wig, brown paperweight eyes on the Bravot Loulotte body. She comes undressed, but the dress can be purchased. 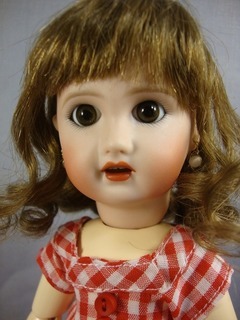 Click on arrows to view different photos.